Rattlesnake Island is located in the northwestern part of the Pointe au Baril natural area. Rattlesnake was the first ever Ecogift-approved land donation from a group of combined American and Canadian citizenship. Due to its generous size and the presence of both rock barren and coastal meadow marsh vegetation communities, Rattlesnake Island provides habitat for Eastern Massasauga rattlesnake, and it likely provides habitat for other rare species known from the area, particularly Eastern foxsnake; the area is identified as having a high concentration of target species. 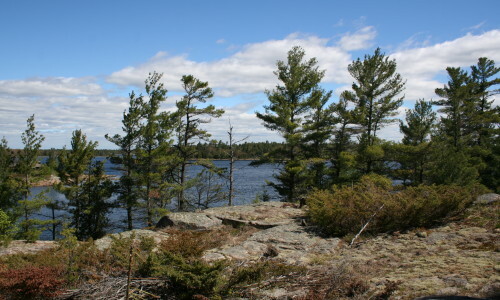 The Nature Conservancy of Canada’s Eastern Georgian Bay Natural Area Conservation Plan has identified this island as a priority for conservation.